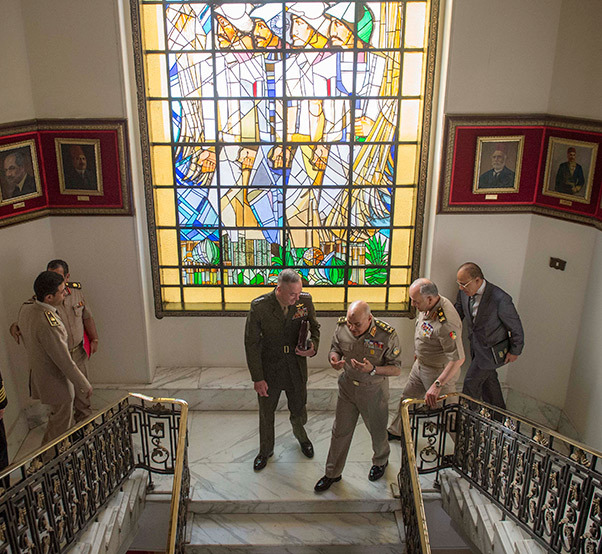 Marine Corps Gen. Joe Dunford, the chairman of the Joint Chiefs of Staff, walks through the Ministry of Defence with Sedki Sobhi, Minister of Defence of Egypt, in Cairo, Egypt’s capital city, April 23, 2016. Dunford is traveling overseas to meet with military leaders and foreign dignitaries to discuss issues confronting the United States and its allies, including efforts to accelerate the lasting defeat of the Islamic State of Iraq and the Levant. Today’s presence of cyber, space and ballistic-intercontinental missile capabilities have changed the character of war, and the U.S. military must adapt to confront these challenges, the chairman of the Joint Chiefs of Staff said. 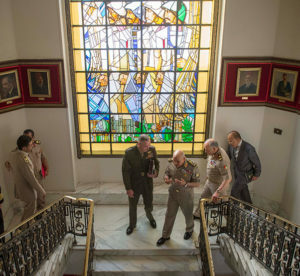 During a flight from Cairo to here yesterday, Marine Corps Gen. Joe Dunford discussed the need to make changes in the department in order to improve the military’s command and control system. The chairman said there are certain areas where a delegation of responsibility — even if not authority — should come to the chairman of the Joint Chiefs of Staff. The chairman can then do on the secretary’s behalf “some things that integrate our forces today in a way that we didn’t need to 10 or 15 years ago,” Dunford said. Today, that’s no longer the case, Dunford said. And it probably wouldn’t be the only conflict going on in the world, said Dunford, who added that the list of the world’s current security concerns is illuminating. There’s the fight against violent extremism, he said, as well as security challenges in Europe with Russia. And, there are security challenges on a day-to-day basis with Iran, the chairman added. 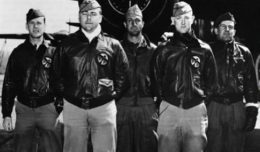 The military does that now in what the chairman calls a sub-optimal way. “The character of war has changed so we should adapt to the character of war, and by changing the organizational construct of the Joint Staff,” he said. Doing so, the chairman said, will position the department to better manage today’s and tomorrow’s security situations.